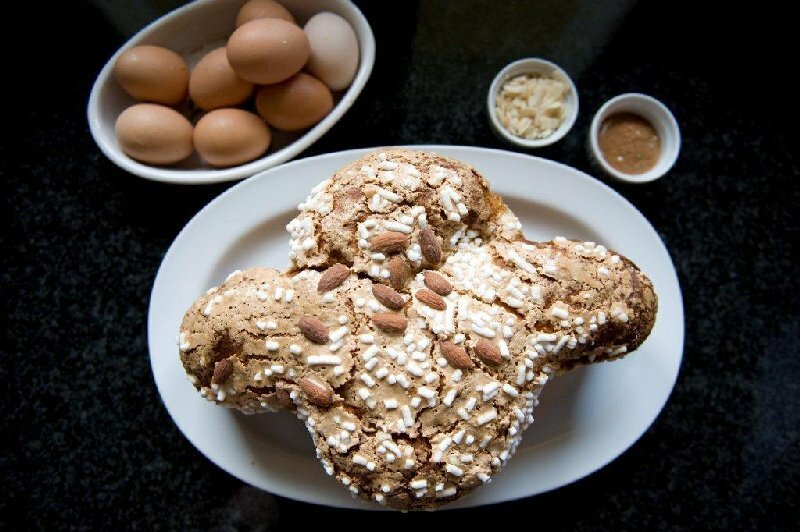 One way to serve Colomba that is exquisite is French toast. It’s incredibly moist and as the bread is sweet to begin with it barely even needs butter and syrup. 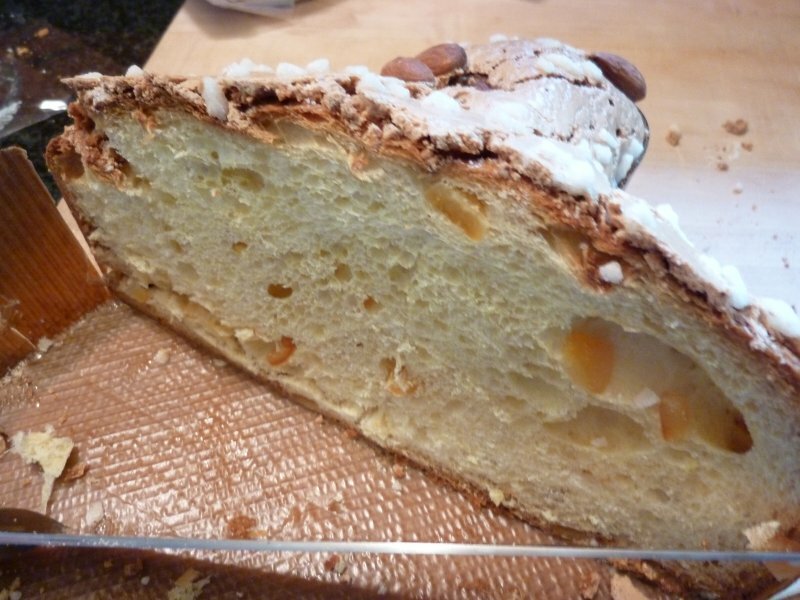 The Colomba is filled with candied bits of orange and coated with whole almonds and sugar which adds to the flavor. I slice it into one inch slices as otherwise the slices fall apart when dipped into the egg mixture. 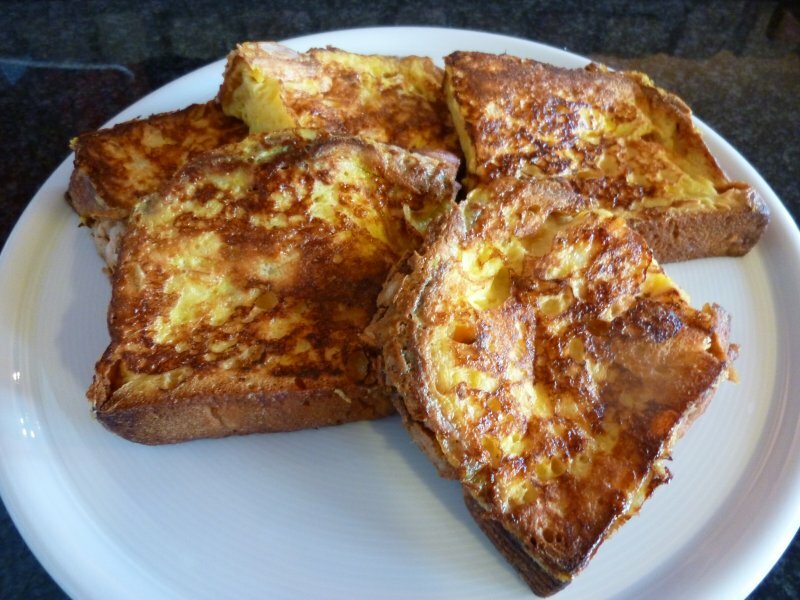 Prepare a mixture of a few eggs and a cup or more of milk, according to taste, and whisk until well blended. 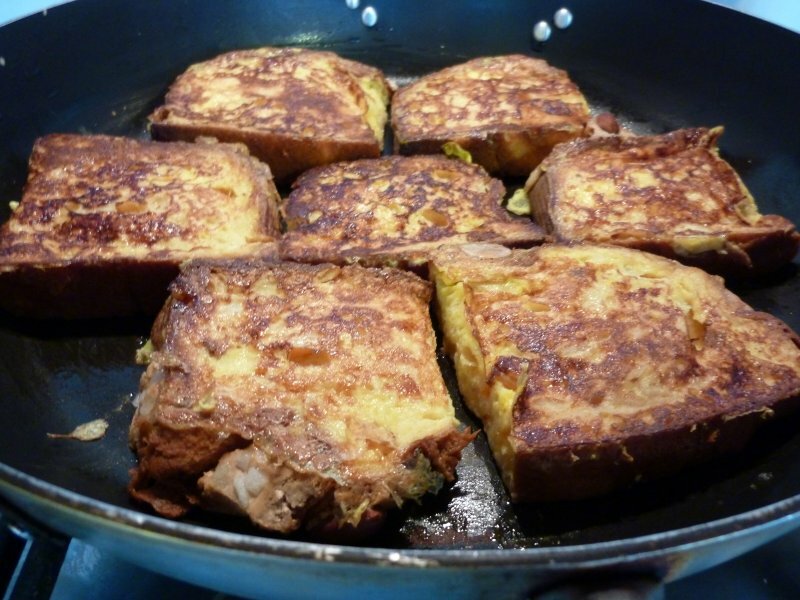 Lightly oil a pan with extra virgin olive oil, and once the pan is hot dip the bread slices into the egg mixture and pan fry on both sides until golden brown. Place the slices on a platter and serve as is or lightly dusted with powdered sugar. 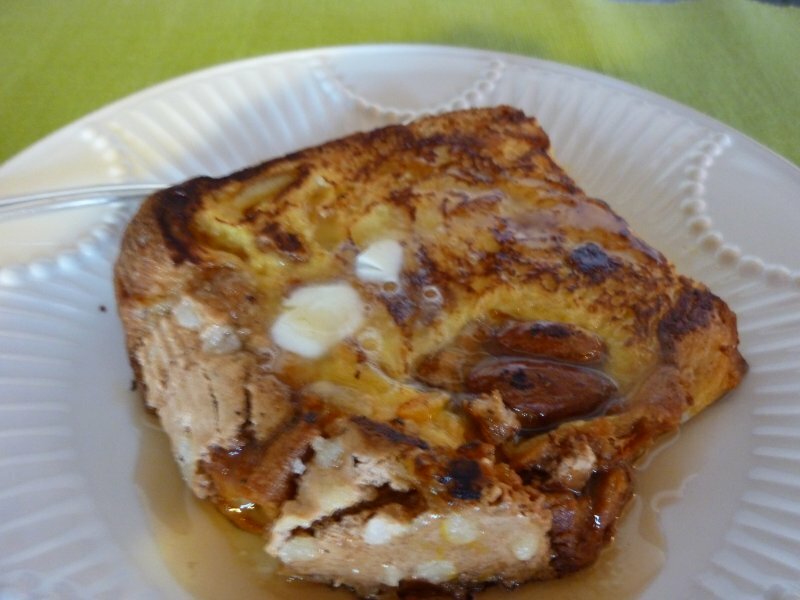 I can never resist adding melted butter and maple syrup or honey for an extra special Easter breakfast treat!